Looking to buy a home? Here are three essential tips for making the process as smooth as possible. Start by getting a full picture of your credit. Obtain copies of your credit report, make sure the facts are correct, and fix any problems you find. Do not make any huge purchases or move your money around three to six months before purchasing a home. Next, find a suitable lender and get pre-approved for a loan. This will put you in a better position to make a serious offer when you do find the right house. There’s a big difference between a buyer being pre-qualified and a buyer who has been pre-approved. A pre-approval letter shows sellers and real estate agents you’re a serious home-buying candidate because a lender has looked at all of your financial information and they’ve let you know how much you can afford and how much they will lend you. Don’t forget, too, that there are lots of considerations beyond the price of the home, including property taxes, homeowner association fees, insurance, energy costs, etc. Hire a professional real estate agent. Before making a bid, look at sales trends of similar homes in the area or neighborhood. Come up with an asking price that’s competitive, but also realistic. Otherwise, you may end up ticking off your seller. You shouldn’t buy unless you’re sure you’ll be staying put for at least a few years. When it comes to the house itself, you should hire a home inspector, who can point out potential problems that could require costly repairs in the future. Before you purchase, drive by the house at different times of the day and evening to see what’s happening in the neighborhood. Drive your regular commute from the house to make sure it is something you can deal with on a daily basis. Find out how far it is to the nearest grocery store, hospital, transportation and other services you may need. Please contact Maureen at 908-391-9295 with any real estate inquiries you may have. 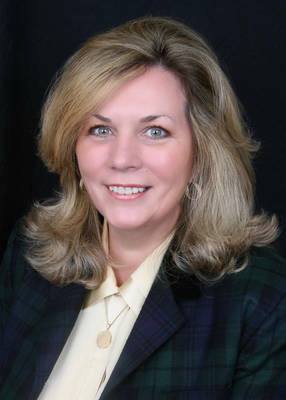 She is based out of the Keller Williams office in Westfield, and specializes in buying and selling homes in Scotch Plains, Fanwood, Cranford, Mountainside and Westfield.